For ad ops use only. This is a golden age of science fiction cinema. Wander into your local multiplex and you’re faced with limitless sci-fi movies featuring aliens and superheroes, giant robots and dystopian futures, all presented in shimmering 3D with top-of-the-line special effects. But how did this popular but critically frowned-upon genre go from cardboard spaceships on strings at the local drive-in to the world-conquering pinnacle of blockbuster success? To find out, we created ‘The 100 best sci-fi movies’, a definitive overview of the genre from the silent spectacle of 1927’s ‘Metropolis’ to the intimacy of 2013’s ‘Her’. When to go: When you feel like five-star Italian quality at one-star prices. What to have: The daily specials of silky pasta, saving room for own-made gelato and wicked sweet stuff from the oven. The non-existent décor and amateurishly presented menus of this tiny, no-frills Kentish Town restaurant might explain how they can do what they do: serve some of the best Italian food in the capital at laughably low prices. 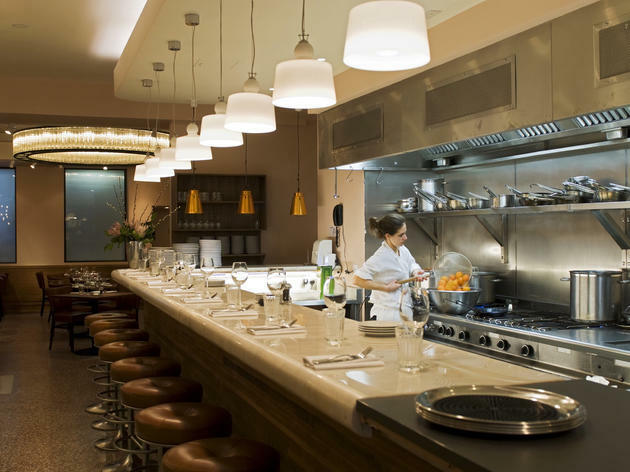 The owners have worked at big London hitters such as The Ledbury, Sketch and Le Gavroche – and it shows. From the daily specials to the exceptional ice creams, sorbets and baked desserts, there’s fantastic quality throughout. Anima e Cuore translates as heart and soul, and it’s clear the owners have thrown theirs lovingly into this wonderful little restaurant. And did we mention that it’s BYOB? Just one more reason why we love it. When to go: When you need some relief from the chaos of Borough Market, and a cool drink with some lovely mezze is an appealing prospect. What to have: The breads, which are baked to order, and the many vegetarian small dishes and sharing plates. Outside of the Edgware Road, London’s Levantine restaurants tend to be basic cafés or marble palaces built to attract Gulf money, but Arabica is neither: it’s a fashionably modern place in a railway arch, attracting people who are interested in trying new flavour combinations. 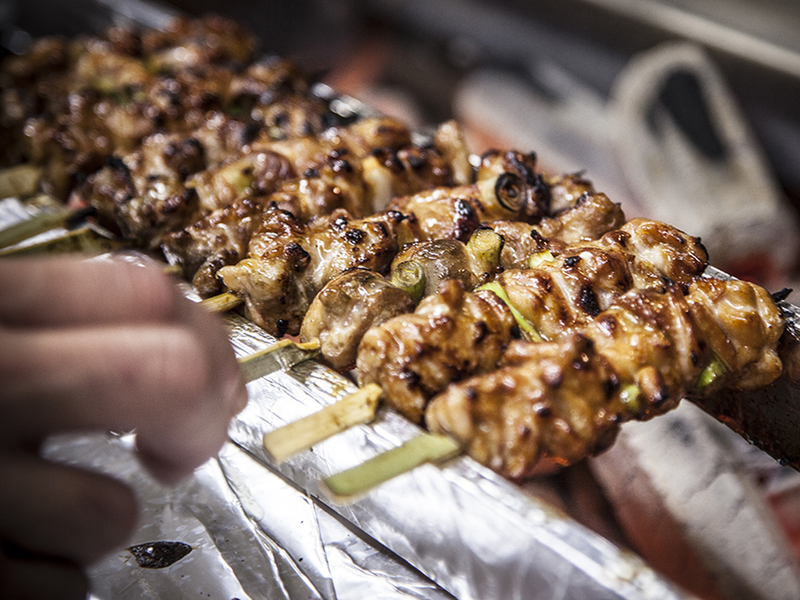 The Borough Market location is, of course, perfect for food lovers. Nearby you can shop for victuals, then come here to drop your bags and get pampered by the attentive staff. Arabica started out as a market stall selling imported Middle Eastern provisions; now this lovely newish restaurant (opened in summer 2014) showcases the same ingredients on their menu, while you can still buy pretty jars, dried spices and other edibles from the front counter. When to go: When you want to surprise someone with south-of-the-river sophistication. What to have: The homemade pasta is a knockout – but leave room for the day’s cake (olive oil and nectarine, perhaps). 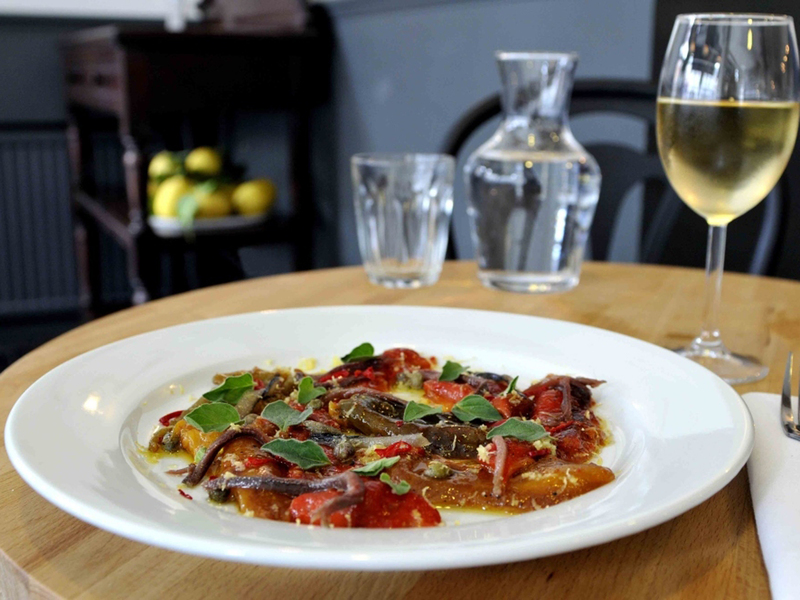 This classy venture in Peckham thumbs its nose at run-of-the-mill local Italians. With its smart looks, daily menu of simple yet accomplished dishes and carefully chosen cellar, it could give the best central London Med joints a run for their money. The minimal interior, complete with communal table and open kitchen in the back room, lets the food do the talking. 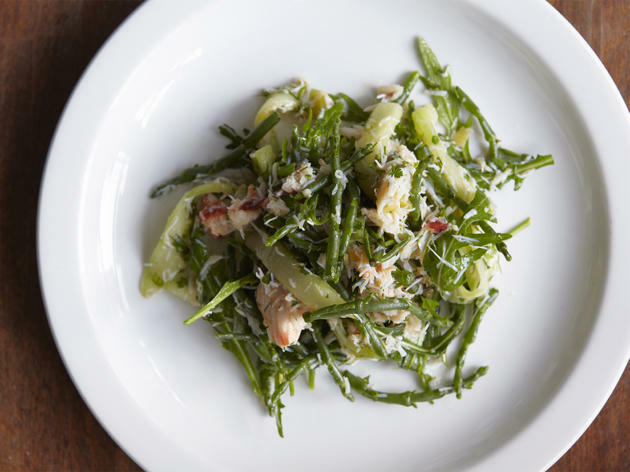 The short menu – full of punchy propositions such as asparagus with gorgonzola and horseradish, plus own-made pasta and wickedly good ice cream – is an ambitious labour of love that further ups the ante on Peckham’s poshest street. When to go: When you’re in the mood for vodka, merriment and the authentic taste of central Europe. What to have: Soul-satisfying kaszanka (black sausage); blini with an assortment of toppings; or the choucroute of golonka (ham hock), karkowka (pork neck) and biala (unsmoked sausage) with braised sauerkraut. Baltic was one of restaurateur Jan Woroniecki’s original London ventures, along with the now-departed Wódka and Chez Kristof. Though more than a decade old, Baltic retains its glamour and is incredibly popular. This is a big place, loud and with closely spaced tables, so it’s better for revelry than a quiet date. 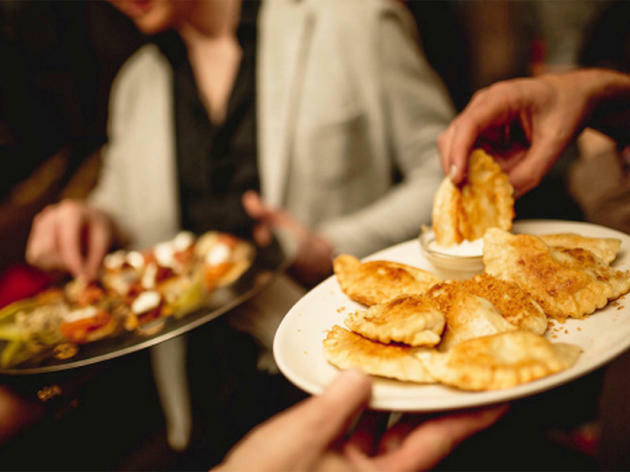 But for Polish and central European classics, sometimes with the modern touch that Woroniecki brings to these underrated cuisines, it has few peers in London. 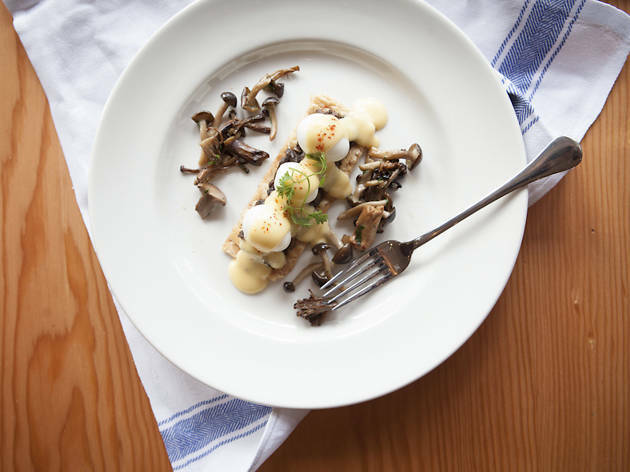 Starters of blini or herring give way to earthy braises or more refined fish dishes. And the drink of choice is, obviously, vodka, from an extensive list. When to go: When you’re looking for grub that will light your fire without burning a hole in your pocket. What to have: If you’re feeling adventurous, cold pig’s ear, tongue and tripe; otherwise, a lustrous gong bao tofu and long beans with marinated minced pork. Baiwei means ‘100 flavours’ in Chinese, and it’s an apt name for this cosy place serving authentic, home-style Sichuan, Hunan and northern Chinese dishes. 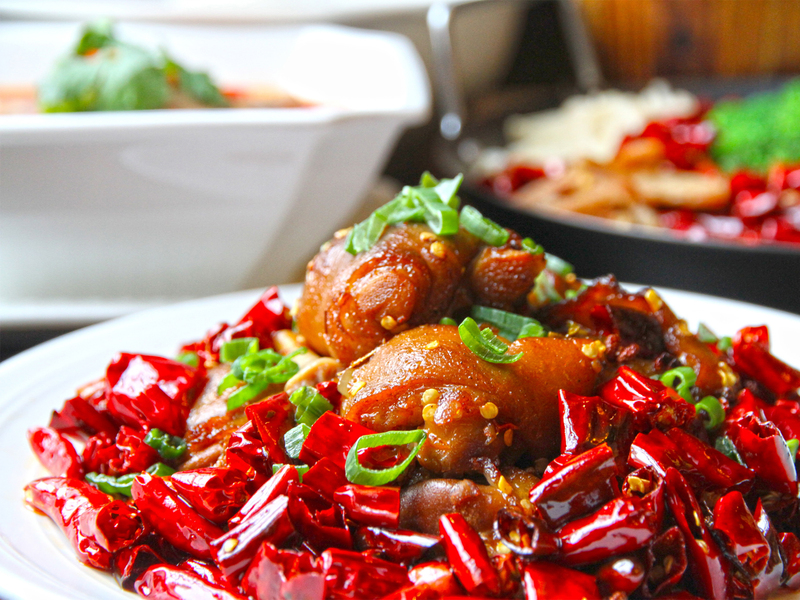 Along with Barshu, Ba Shan and Baozi Inn, it’s one of the Gang of Four masterminded by menu consultant Fuchsia Dunlop, Britain’s leading authority on Sichuan cooking. The key to these cuisines is flavour, in very robust doses: Dishes from the Southwest of China use dried chillies, Sichuan pepper and fragrant garlic in near-industrial quantities – stay away if you like it mild, or can’t abide chilli-fire. 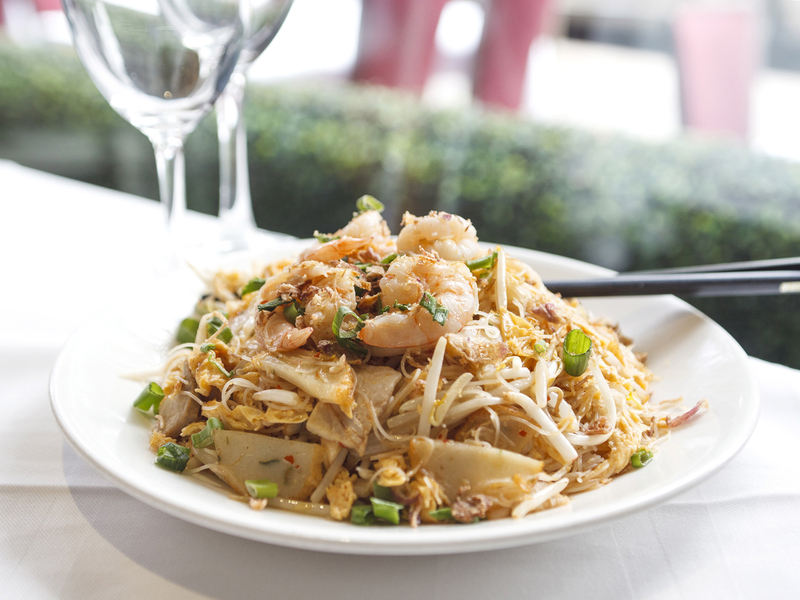 At Baiwei, ‘100 flavours’ translates as ‘100 ways to dazzle your taste buds’. Extra bonus: uncommonly friendly service. 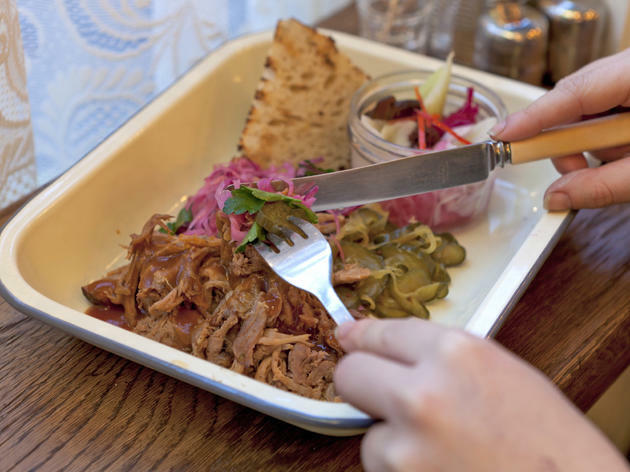 When to go: When you’re in the mood for fiery food you can eat with your fingers. 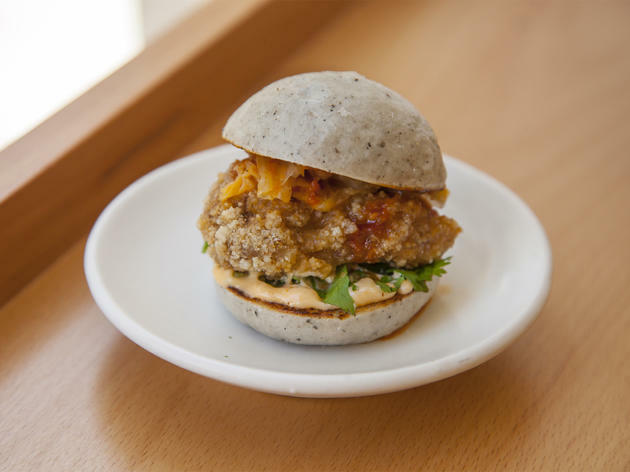 What to have: The fried chicken or confit pork bao, though the small plates (pig’s blood cake, trotter nuggets) are brilliant too. Forget Narnia. This is a wardrobe you really want to enter, but then stay in. Okay, Bao isn’t actually a wardrobe; but the interior of the dinky Soho eatery feels so much like being inside a giant wood-veneered Ikea creation, you can almost hear the couples debating whether they really need 350 tea lights. But looks aside, Bao is a truly exceptional place. 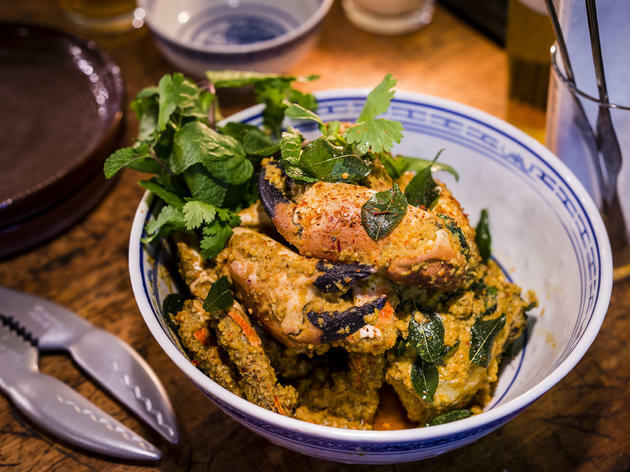 It serves award-winning Taiwanese street food with plenty of kick (having started life as a tiny Netil Market stall before grabbing the attention – and financial backing – of Trishna’s deep-pocketed chef-patron Karam Sethi). It’s the kind of stuff that’s great if you’re a little bit drunk. Just not paralytic – it’s too good to be wasted on the wasted. When to go: When there are four of you (so you can sit in a booth) – but expect to queue. What to have: A bit of everything – portions are small and prices fair, so knock yourself out. Don’t be fooled into thinking that Barnyard is another me-too joint trying to hitch a ride on the homespun comfort food bandwagon: this Fitzrovia restaurant was created by chef Ollie Dabbous and chums. This no-bookings younger sibling of Michelin-starred Dabbous, which is just down the road, may have swapped industrial luxe for farm chic (oil-barrel seats, distressed wood, a huge tree) and haute cuisine for homestead cooking, but sky-high standards and culinary blazed trails is something they’re keeping in the family. Dishes are of the ‘pimped’ variety: roast beef on toast with horseradish buttermilk, smoked paprika chicken wings, acorn flour waffles. When to go: On a carefree sunny weekend for brunch, Sunday roast or alfresco cocktails. What to have: Wood-grilled meat and fish are the kitchen’s calling card. 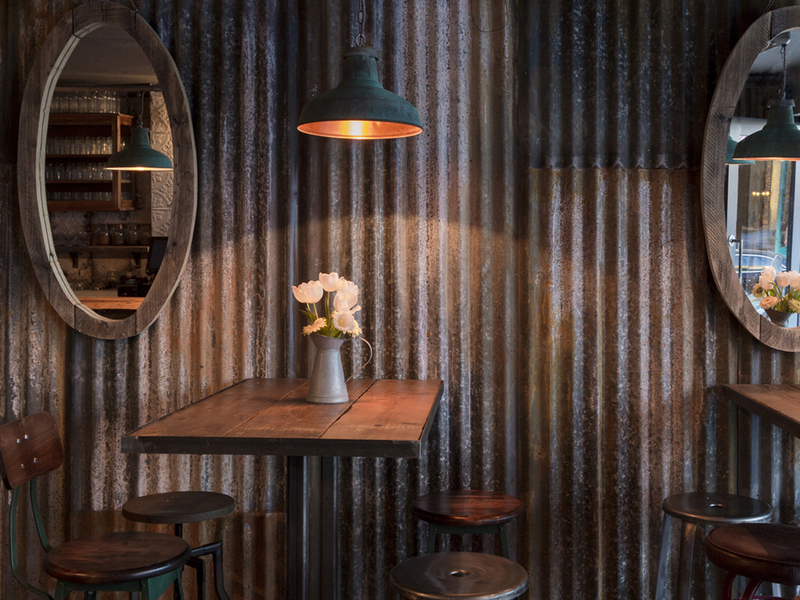 Located under the railway arches of Hoxton Overground, this enticing three-in-one offering (bar, restaurant and café) owes its hip looks to New York’s coolest districts, with bare brickwork, industrial lighting and grown-up colours adding an edge to the proceedings. Chef James Ferguson deals in gutsy platefuls of seasonal ingredients, but his light touch lifts the likes of rabbit rillettes with pickled cucumber or juicy Suffolk lamb with grilled aubergines, chickpeas and labneh to another realm. Cocktails on the terrace – which is heated and covered when necessary – are a must. When to go: When you’re with your very best mates and you want to eat, drink and get the party started. What to have: The cauliflower shawarma (order an extra plate – do it!) and the hummus. For something more meaty, it has to be the joojeh chicken thighs. First things first: Berber & Q is not the place if you want a quiet chitchat, or if you’re one of those chronic hand-washers who can’t touch anything sticky. This stripped-back, under-the-arches Haggerston spot (near neighbour to Tonkotsu East) is loud and dark; food comes heaped on sharing trays, and eating with fingers is encouraged. Flavours are Middle Eastern and smoky, but unlike most grill joints, it’s the vegetarian dishes that really shine. The deliciously charred cauliflower shawarma, with its balance of sweetness and smoke, softness and crunch, is mind-blowingly good, but don’t overlook the tahini-slathered, pine nut-strewn hummus either. Team it with a cocktail – we love the Haggerstoned, a citrusy muddle of tequila, green Chartreuse, pistachio syrup and orange bitters. When to go: When you’re after an excellent plate of comfort food in the company of a few neighbours. What to have: Don’t miss the bar snacks, they are bound to surprise and impress. The menu changes regularly, so ask the staff for the latest recommendations. Claphamites are lucky indeed to have such a good neighbourhood restaurant. Self-styled as a British bistro, it’s a place where the staff are chummy, the look rustic and the clientele ever appreciative – it’s seriously popular. 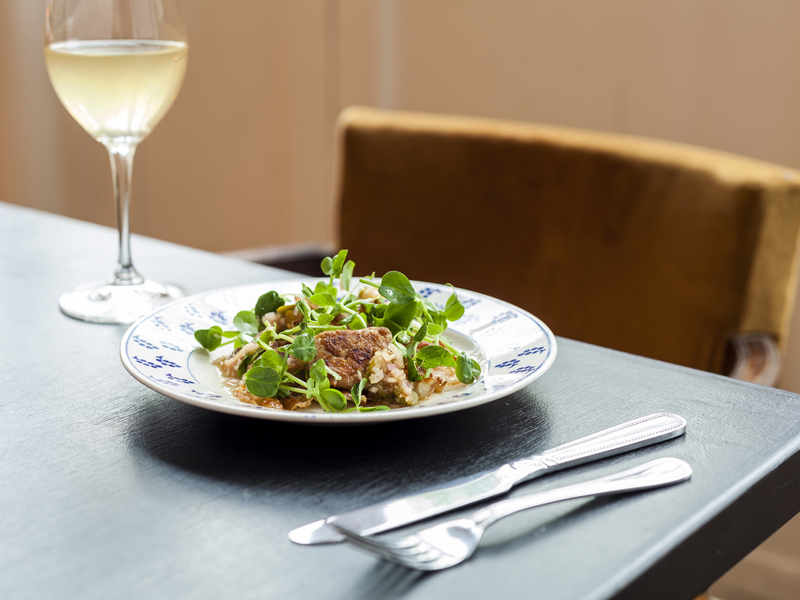 The food at this second Clapham venture from Adam Byatt – who also runs The Trinity, the even smarter Modern European restaurant – riffs on a range of hearty Anglo, American and French influences, but gives them a British sheen. 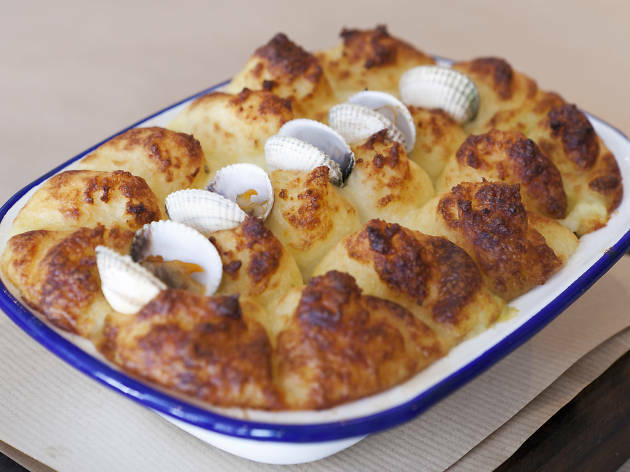 The likes of toad-in-the-hole and fish pie sit comfortably alongside chicken liver parfait and mac ’n’ cheese – and all are prepared with impressive precision. For the best spectator seats, head to the tall stools by the bar. When to go: Weekend brunches, or pre-7.15pm/post-9.45pm for the set dinner. What to have: Pancakes at brunch, or the three-course set dinner – a snip at £20. Known as much for hosting some of east London’s finest alternative performance acts as for its cooking, this stylish spot is a scenester kind of a place – but no worse for it. 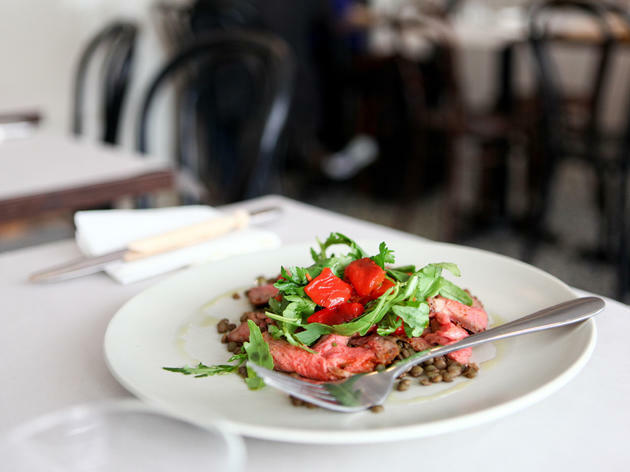 True, there might be as many people posing as there are looking at their plates, but the French-leaning food is reliably decent, while the staff are friendly and professional. Come sunny weekends, when you’ll find pancakes with maple syrup and bacon on the menu as well as the ubiquitous full English or eggs Benedict, you can pretend you’ve warped time and space by being in both trendy Brooklyn and trendy London at the same time. When to go: When you want to get your glad rags on and enjoy a decent meal in a smart but relaxed central spot. What to have: Go for small plates so you can try more, and don’t miss the radish, celeriac, pomegranate and pecorino salad with truffle dressing – it’s a Bocca classic. There’s as much buzz around the food at this enduringly popular Soho Italian as there is the celebs who dine here. This can make getting a table at short notice tricky for mere mortals, so book ahead. For the full experience, counter seats make for a lively meal with views of the chefs at work – but bear in mind it can get a bit hot here! Otherwise the smart dining room at the back is more discreet. Take a tour of the regions of Italy via small plates or large-portion dishes, with addictive deep-fried snacks – such as breaded olives stuffed with minced pork and veal – alongside salads, homemade pastas and grills. When to go: When Brixton Market just won’t cut it. What to have: Spanish comfort food such as huevos rotos and leche frita. 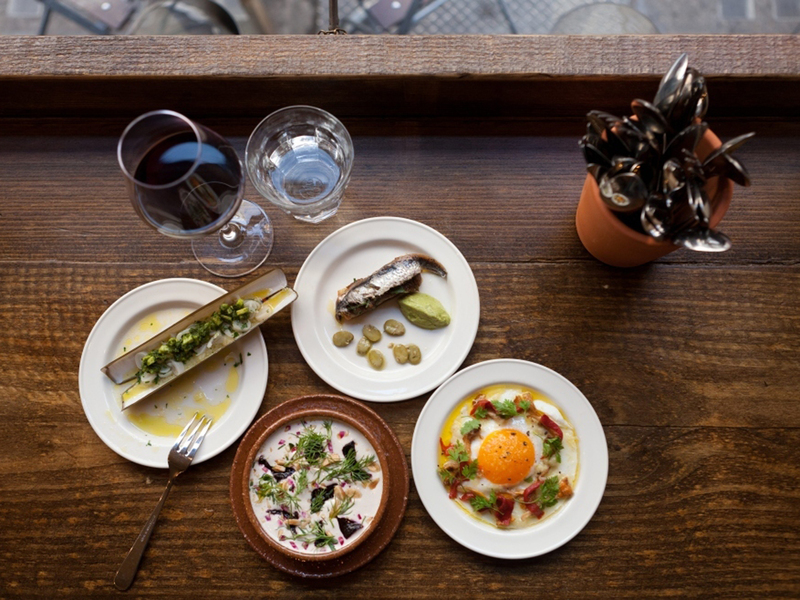 Despite its odd location amid Acre Lane’s tyre workshops and charity shops, Boqueria has deservedly built up a devoted fan base spanning Clapham, Brixton and beyond. Its friendly, all-Spanish staff ferry spot-on tapas and raciónes to the chattering crowds in the light, modern dining room. 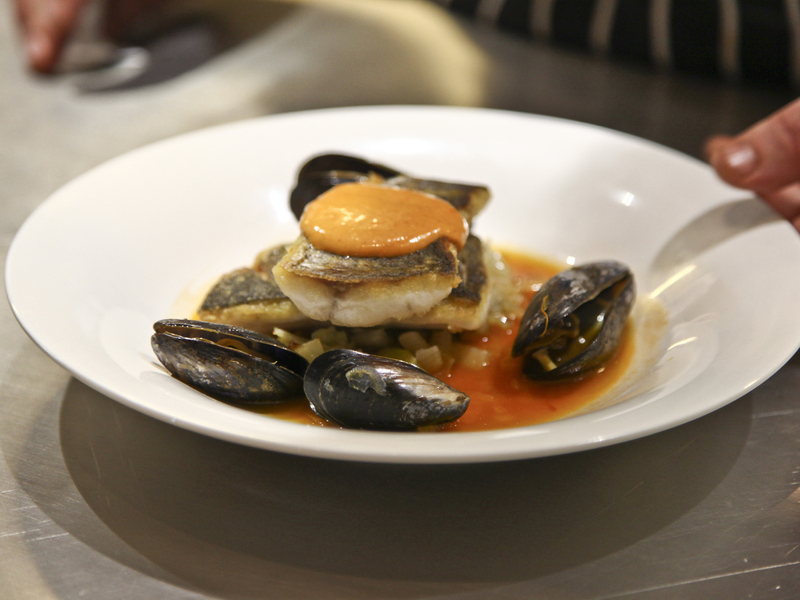 Hits include saffron-tinged cod fritters, melt-in-the-mouth ham croquetas and jet-black rice with squid and mussels. The atmosphere is always high and the prices refreshingly low – just two of the many reasons Boqueria continues to ride the crest of the capital’s Spanish wave. When to go: When you have menu fatigue or need an in-and-out treat. 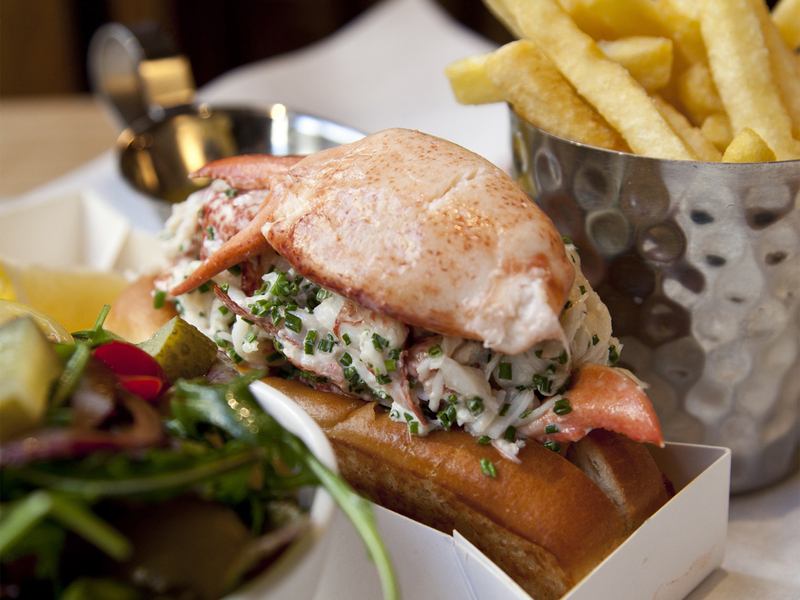 What to have: The burger is undeniably tasty, but the lobster wins in the value stakes. Burger & Lobster wins fans for its simple, high-quality and great-value offering – a prime burger, half-lobster or lobster roll, with salad and chips, for £20. The bijou Mayfair original was promptly packed out, and its resolutely first-come first-served policy saw huge queues forming. So this Soho behemoth was swiftly opened to soak up the lobster-loving overflow. This smart flagship branch boasts a huge, lively dining room and lightning-quick service, meaning it easily accommodates bookings and walk-ins alike. Still, queues at peak times are inevitable for spontaneous types. But there are branches from Farringdon to Fitzrovia. Venue says All aboard the Champagne train: London's first bottomless brunch served by train is officially here! Find out how to book below. When to go: When meeting adventurous friends who don’t mind sharing. What to have: Anything from the ‘small plates’ section. Sorry, we meant everything. Caravan King’s Cross has taken the baton from its much-loved older sibling in Exmouth Market and hasn’t stopped running yet. The spacious, industrial-look dining room, with its concrete floors and exposed heavy-duty pipes, has its charms; but on a warm day it’s the terrace and its breezy views of Granary Square that diners flock to. The all-day menu has lots of small plates and fuses international flavours in no-holds-barred combinations, resulting in relaxed, inventive dishes you’d never think up – let alone pull off – at home. The results are always interesting and the laser-precise flavour combinations are frequently eye-opening. When to go: When you’re in Soho, feeling spontaneous and with flush friends. What to have: The house ajo blanco is a creamy, luxurious taste bomb. This warm and inviting nook in the heart of Soho manages to be both authentically Spanish and admirably cliché-free (apart from the giant hams dangling from the ceiling). High communal tables, a clattering ambience and rapid-fire service make it a perfect post-work pit-stop – as does the exquisitely considered wine list, which offers nearly everything by the glass and carafe. The menu, inspired by the day’s market, mixes top-notch charcuterie with well-balanced dishes such as scallops pepped up with tomato relish and olive mayonnaise, or braised pig cheek with potato purée – all at restrained prices. When to go: When your gastronomic sat nav says no to a Brick Lane curry. What to have: The house special, lamb raan, which is a slow-marinated, spice-laden delight. The second of three branches (the first in Covent Garden, the third in King’s Cross), this Dishoom is one of the best places to eat in Shoreditch. The interior is modelled on the Iranian cafés of Bombay, with booths and mosaic floors creating intimate nooks with a charming makeshift feel – but also with a touch of cool. 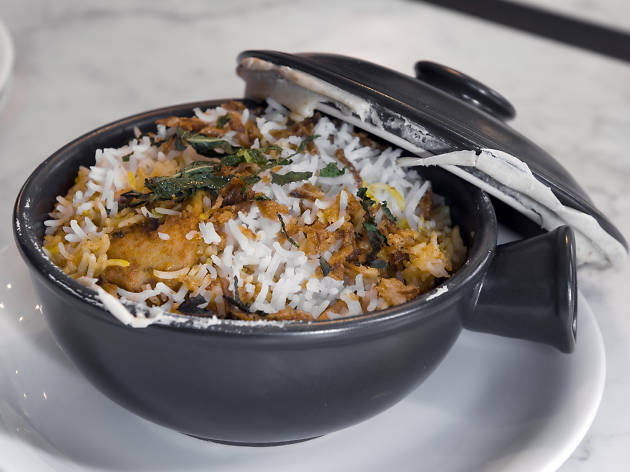 Dishes on the feisty modern Indian menu are vividly described and peppered with brilliant asides and interesting facts – whether referring to superior versions of chicken tikka and lamb biryani, or lesser-known classics such as a keema Frankie. Spicy breakfasts and brunches throw a cracking curveball, too. When to go: When you’re in the sort of refined company that appreciates proper silver and well-turned napery. What to have: Wiener schnitzel, Austrian-style sausages with sauerkraut and any of the comforting puds. The Wolseley set the standard for European-style grand cafés in London; later brasseries from the same owners, such as The Delaunay, refined it and allowed for some experimentation with a mittel-European formula. This 2014 opening takes it one step further, with homage to the brasseries of Vienna, and is a startlingly smart place – as well oiled as Opa’s pocket watch. The day kicks off with Viennese-style breakfasts, segues into lunch and afternoon tea, then launches into a full Austrian menu for dinner, finished with topfenstrudel (pastry filled with soft quark cheese). The Austrian wines are great too – try them by the glass. Venue says An informal neighbourhood café-restaurant with a classic Viennese menu. Buzzing from breakfast until late, seven days a week. When to go: When you and your friends want to feel cool, young and in-the-know. What to have: The moist, meaty salmon teriyaki hirata, then the toast-your-own s’mores. This basement follow-up to chef Ross Shonhan’s funky ramen hit Bone Daddies takes the blueprint of loud rock music, tattooed staff and East Asian street food, substituting noodles for hirata buns along the way. The large, industrial dining room pulses to a high-octane vibe the fuller it becomes – especially with skilfully ‘easternised’ cocktails and an accessible saké list greasing the wheels. 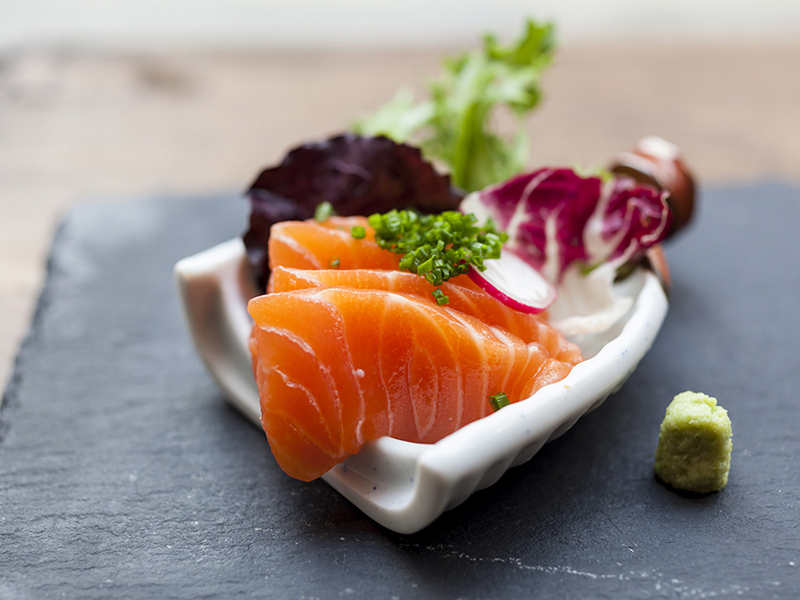 On the menu, sushi rolls and sashimi pave the way for the main event: pillowy steamed buns that you stuff with a range of meaty fillings, from crispy pork belly with mustard miso to salmon teriyaki. When to go: When you’re with friends – and none of them are vegetarian. What to have: The smoked Tamworth spare ribs, plus a side of green slaw. It’s impossible to talk about this restaurant without first mentioning its roots. The owners of Foxlow founded Hawksmoor, the city-conquering group of smart steakhouses. In summer 2013 they sold a chunk of the business for a cool £35 million, and couldn’t resist going straight back out to make another baby. Happily, they haven’t just created a carbon copy. The look at Foxlow is casual-clubby, and while the menu is predominantly meaty, it does a lot more than just steak (there’s fish, a selection of knockout salads and some terrific puds, too). The vibe is notably more chilled, and the chummy staff are just brilliant. There’s now a second branch in N16 – lucky old Stokey. 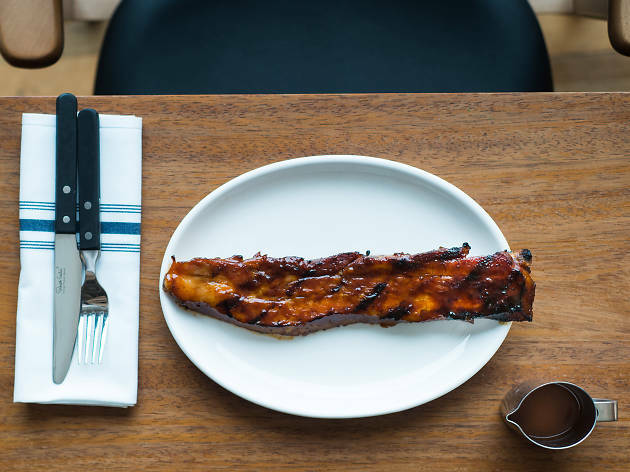 When to go: For an understated meal with exceptionally well-rendered dishes. What to have: The vegetarian options on the seasonally changing menu put many dedicated veggie restaurants to shame. Bordeaux-born chef Bruno Loubet has a lofty reputation for artfully prepared dishes, and his latest venture does not let the reputation slip by a millimetre. Housed in a cavernous Victorian warehouse in King’s Cross and brimming with hip factor – the square is also home to Caravan and Central Saint Martins – the menu is a pick ’n’ mix of ingredients and cuisines all perfectly prepared. Vegetables play a starring role and there is plenty to dazzle vegetarians and meat eaters alike. Excellent cocktails at the bar are supervised by innovative cocktail bartender Tony Conigliaro, of 69 Colebrooke Row. When to go: When you want to be transported to a sunny Middle Eastern getaway. What to have: Plenty of small plates to pick at, plus something sweet – their cakes are too good to pass up. 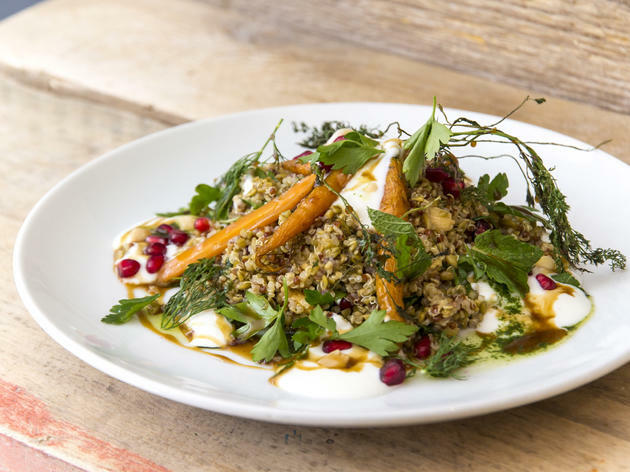 If you’re in Fitzrovia, for any reason at all, make a beeline for this little Israeli-run café. The menu is full of homely Middle Eastern dishes alive with colour and texture. The husband-and-wife team who run the place have impressive credentials as the ex-head-chef at Ottolenghi and executive chef at Nopi. Their idea here is to create dishes inspired by the food they grew up with, everything from what their mums made to the street food of Jerusalem. It’s all made fresh on the premises, and the window is filled with breads, pastries and exotic jams. When to go: When you crave great-value, new-wave café food and a nicely chilled-out vibe. What to have: The mixed-grain salad with pomegranate, mint, toasted almonds, roasted carrots and coconut yoghurt. There’s more than a whiff of Ottolenghi influence at this superb Covent Garden café - and that’s definitely no bad thing in our eyes. It’s no simple homage, however. There’s clearly plenty of imagination in the kitchen, and the veg-heavy menu features some genuinely inspired dishes. Even a simple green chopped salad is noteworthy. 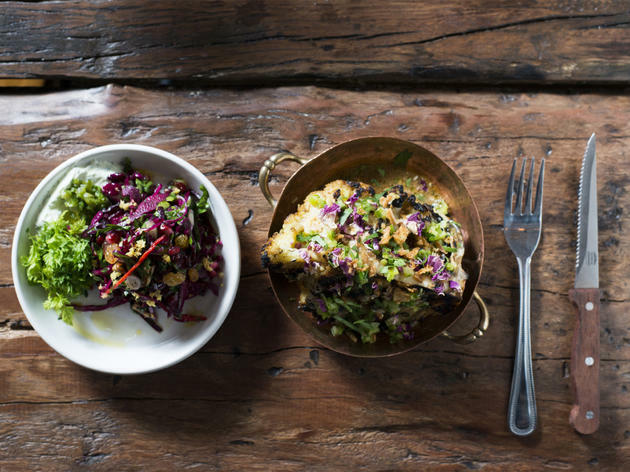 Jar Kitchen hits the mark when it moves toward fish and meat, too – the roast pork belly is superb, and a ‘ceviche-style’ sea bass with creamed avocado, chopped fennel and a multi-seed dressing is a real winner. Sure, it might go a little, erm, nuts with nuts and seeds, but this Drury Lane spot is leading the way in new-wave café dining. When to go: Kirazu is only open in the evenings (except on Saturdays), so head here straight after work to ensure you get a spot at one of the sharing tables. What to have: From sweet soy-glazed conger eel with cucumber to battered octopus balls (takoyaki) – every morsel we’ve tried here is excellent. There’s no sign above the door, no flashy exterior, just an A-board advertising ‘Japanese tapas and ramen’. This dinky spot might be understated, but that’s not because it doesn’t have anything to shout about. Trained in Japanese haute cuisine (kaiseki), chef Yuya Kikuchi applies his skill to a traditional Japanese home-cooking style called obanzai. He avoids fancy garnishes and expensive ingredients, going instead for a list of confidently pared-back small plates, well priced and all of the highest quality. Service is always charming, but sometimes absentminded. If you can look past that, though, you’re in for a treat. When to go: When you and your mates have meaty matters to mull over. And an evening in which to do it, aided by small sips of soju. What to have: Barbecued meats, grilled at the table by efficient staff; fishy things; anything that remotely resembles a stew (especially the spicy, slow-simmered short rib hot pot). 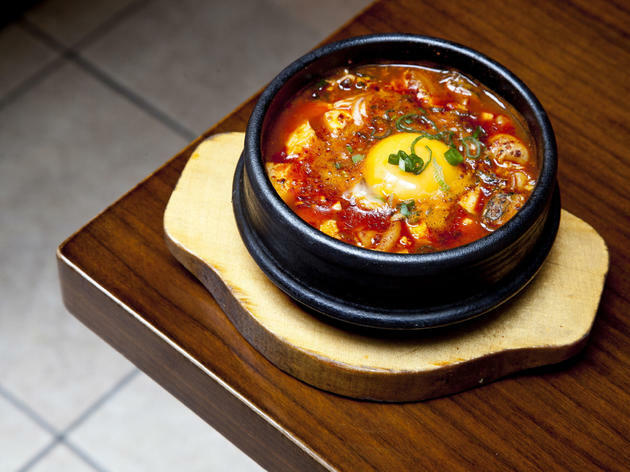 Koba has kept its place as one of the top West End Korean restaurants since it opened in 2005. Dish after dish it achieves consistent quality – we’ve yet to have a disappointing meal here. The service is a pleasure, polished but not too formal, and the interior artfully combines modern East Asian style with sleek contemporary London. You’d be equally happy here for a simple working lunch (at very low prices), or a casual dinner with friends, or a serious evening or savouring an assortment of barbecued meats. The menu rings all the classic Korean bells, with excellent vegetable side dishes to accompany your barbecued meat, and there’s a short wine list in addition to beer and soju (Korean firewater). When to go: When you want West End standards without leaving south London. What to have: If they’re available, get the Isle of Mull scallops, which sit in garlic butter with just a hint of Joe’s homemade elderflower vinegar. The milk chocolate mousse, with its white chocolate and milk powder ‘crumble’, swirls of dulce de leche and almond tuile, is also disturbingly good. ‘Greedy piglet’, he’d call her. ‘Naughty piglet’, she’d correct him, laughing. Now, what began as a pet name between newlyweds Margaux Aubry and Joe Sharratt ­– they met while working at The Trinity, her first job outside her native Lyon ­– has become a philosophy for their dinky little debut restaurant. 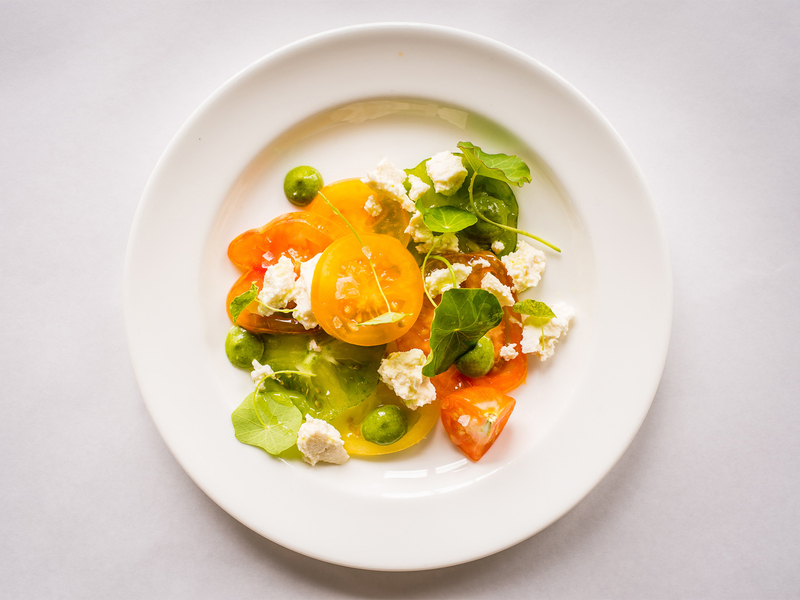 Joe is at the stoves creating a daily-changing menu of beautifully composed seasonal eats, such as creamy burrata over fresh peas and broad beans (sit at the counter to watch him in action). There are cute touches – rock salt in shot glasses, water in vintage Pastis bottles – and a friendly atmosphere, with Margaux greeting every customer like a regular. 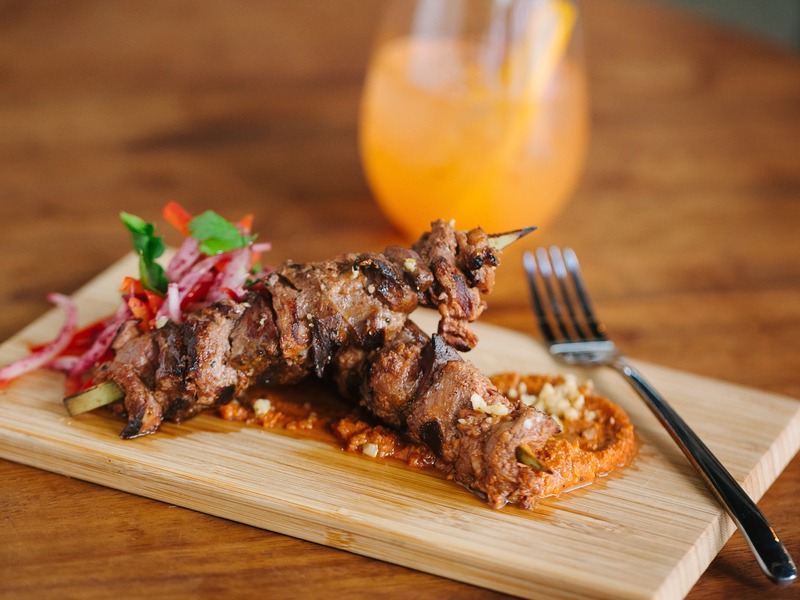 Casual small-plates dining at its best. When to go: When you’re with the kind of people who make queuing fun. 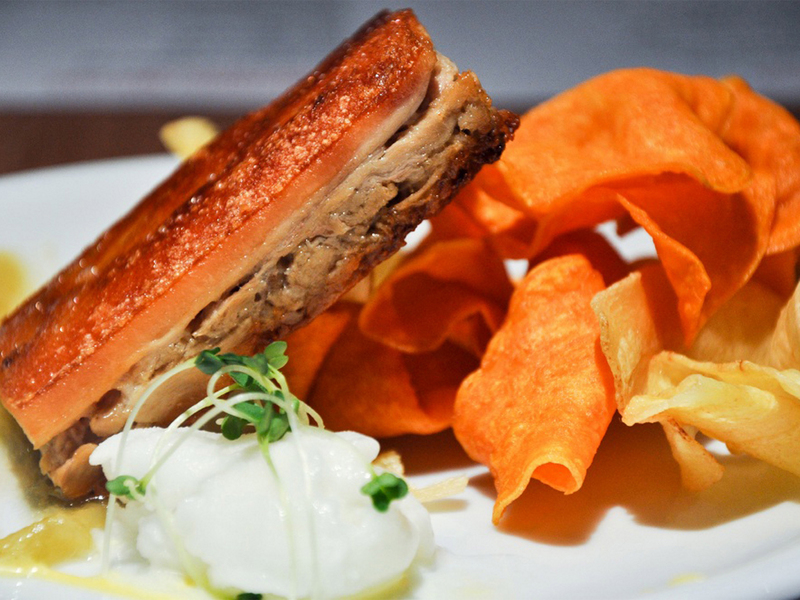 What to have: Something piggy – the signature ribs or the pulled pork are trotterly amazing. Let’s get the Pitt-falls out of the way first: this no-bookings US barbecue joint is the pits if you’re incurable queue-ophobic. You’ll almost certainly have to wait, and it’s mostly outside. Some of the seats – like the wall perches in the bar – are really cramped. But there’s a reason that, despite the flood of restaurants lassoing themselves to the US bandwagon, this founding father is worth a trip. Make it inside (and preferably downstairs, where there’s more space) and you’ll be rewarded with the best Deep South cooking in W1, plus jaunty cocktails and cheery staff. Yee-ha. When to go: Best when you’re already in the area, but any time if you need a taste of the true south (of Europe). What to have: The specials of the day. 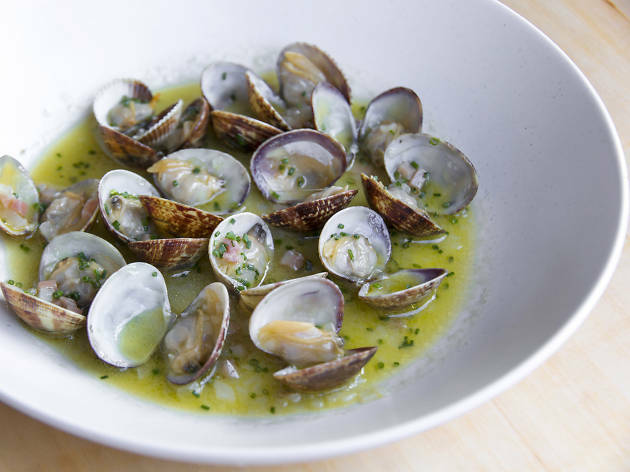 Clams with garlic and parsley, perhaps, lamb leg with flat beans and olives, or turbot with borlotti and bacon. A former car garage (Barnes Motors) in a residential part of Highbury has been converted – though not too much, as thanks to the workshop doors and signage, all slightly minimal with a discreet touch of rural France. (One of the owners is French). Once you settle in to one of their comfy chairs, you can focus your attention on the blackboard menu of Italian and French-accented dishes with seasonal British ingredients at their core. The wine list is as much of a draw as the food: from the hundred-bin cellar staff pick a dozen or so wines for the day’s list, many sold by the glass. When to go: When you’re in the mood for some old-school ooh-la-la. 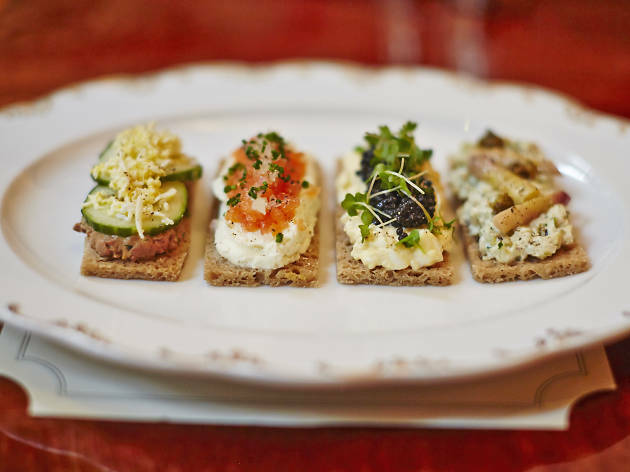 What to have: Croque-monsieur for weekend breakfasts; smoked fish platter when the sun’s heading downwards. Even the townsfolk of E11 would be the first to admit it: Wanstead High Street seemed an unlikely place for an esteemed chef to make his comeback. 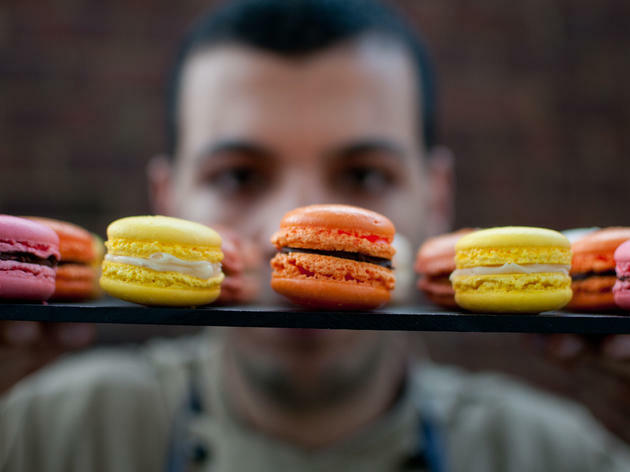 But back in 2012, that’s just what Max Renzland did (he previously ran a string of acclaimed bistros in the ’90s, including Chez Max in Richmond, Le Petit Max in Hampton Wick and Michelin-starred Monsieur Max in Hampton Hill). 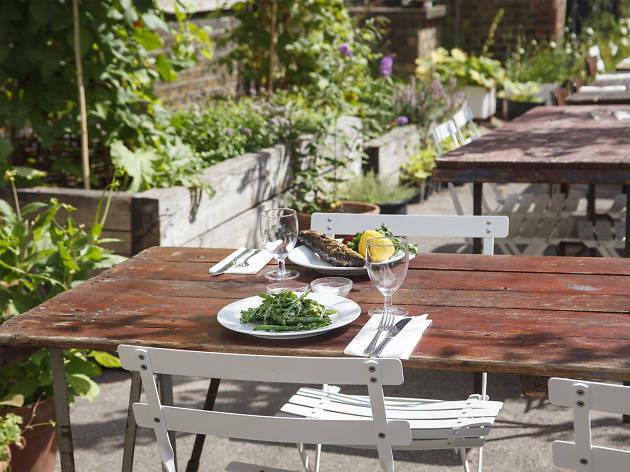 Provender has since settled into its groove, and Wansteaders have got used to having rich Gallic fare, terrific wines and a steady stream of foodie tourists right on their doorstep. When to go: For a leisurely lunch – bring your own if you want to make it boozy. What to have: The menu changes daily, but don’t miss out on the brilliant desserts, from sticky date pudding to elderflower jelly. Fondly remember that sneaky fag round the back of the bike sheds? It was never like this, as Rochelle School’s former bike sheds are far too salubrious a setting for an illicit nicotine fix. The blond tables of the airy dining room are populated by designer-y, arty types enjoying the seasonal modern European menu with an ingredients-led approach and simple style. 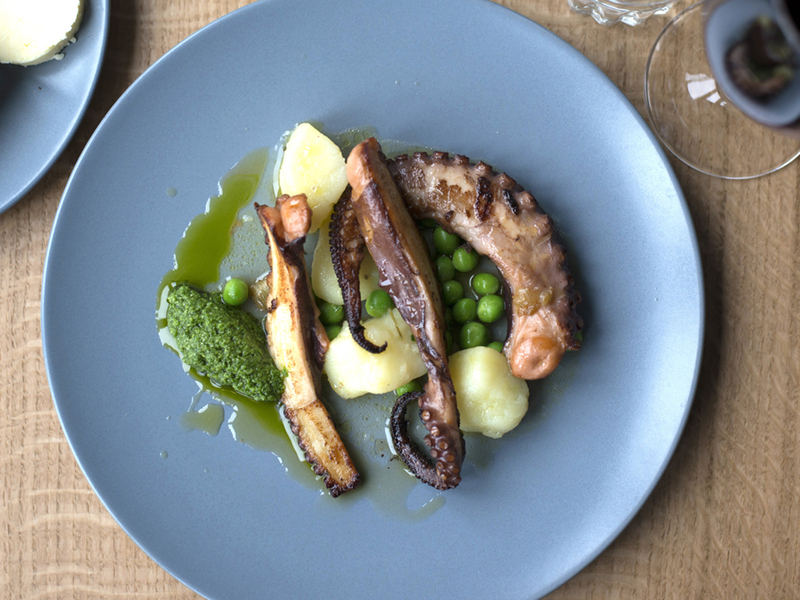 Expect characterful ingredients: smoked cod's roe and crisp pig's skin or grilled ox heart served with borlotti beans. When to go: When you’re craving the true tastes of Southeast Asia in a smarter-than-usual setting. What to have: The roti canai (buttery flatbread) or char kway teow (fried rice noodles). We’re forever mystified by how hard it is to find decent Singaporean and Malay food in the capital, particularly if you’re after a half-decent setting to eat it in. But at this Swiss Cottage stalwart you can find Singapore’s ‘Straits’ cuisine, born from its melting-pot culture. The tiny island has both a majority Chinese population and a shared history (and border) with Malaysia, not to mention links with Thailand and Indonesia. Skip the everyday Cantonese dishes in favour of Straits specialities (sambals, curries and noodles) listed under ‘Singapore and Malaysian’), which are refined versions of hawker (street food) dishes. When to go: When you’ve got a screenplay idea you need to discuss with your bros – and don’t mind doing it with a thumping sonic backdrop. What to have: The menu is minuscule and often changes, but the whole lamb shoulder is always good, especially after a few bevvies. It sounds like something you’d shout if you were a comic book hero: ‘Smoking goat! I’ve lost my magic powers!’ But this small, dark fusion joint is actually a piece of man-food paradise. Thai spicing? Check. Barbecue? Check. Beers? Checkety-check-check. Smoking Goat takes upmarket barbecue fare (whole crab, ribs, chicken wings, whole sea bass), smothers the lot in Thai seasoning and smokes it over chestnut embers. The result is very easy to gobble up, with another round of local craft beers for dessert. When to go: At lunchtime for peace and quiet (and a lower spend); dinner for buzz, a great wine list, and the cheering flavour of charcoal. What to have: Vegetable- and fish-based starters, pappardelle with beef shin ragù, anything that’s come from the grill, and anything calling itself a tart. If you’re hot to trot to Trullo at the weekend, plan at least a week in advance to make a booking. Even though it opened in 2010, this two-floor contemporary trattoria can still get busy-verging-on-frenetic in the evenings, as the Highbury locals pile in. Lunchtime is calmer, and allows the kitchen to show just how confident its cooking can be. Mains feature the oven and a hard-working charcoal grill. The wine list boasts an excellent selection of Italian regional wines, including natural and biodynamic options. 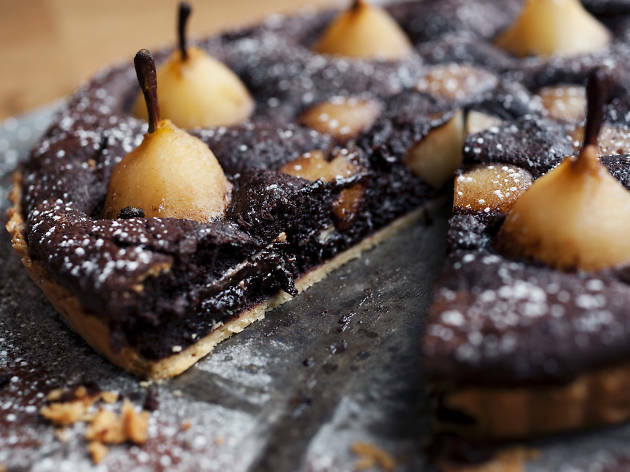 And desserts are taken very seriously, with tarts a speciality. When to go: Date night. After all, great Italian food and wine, chilled-out service and wallet-friendly prices – that’s amore. What to have: Everyone will tell you to have the eponymous zucca (pumpkin) fritters, but we only have eyes for the juicy, rosy grilled veal chop. 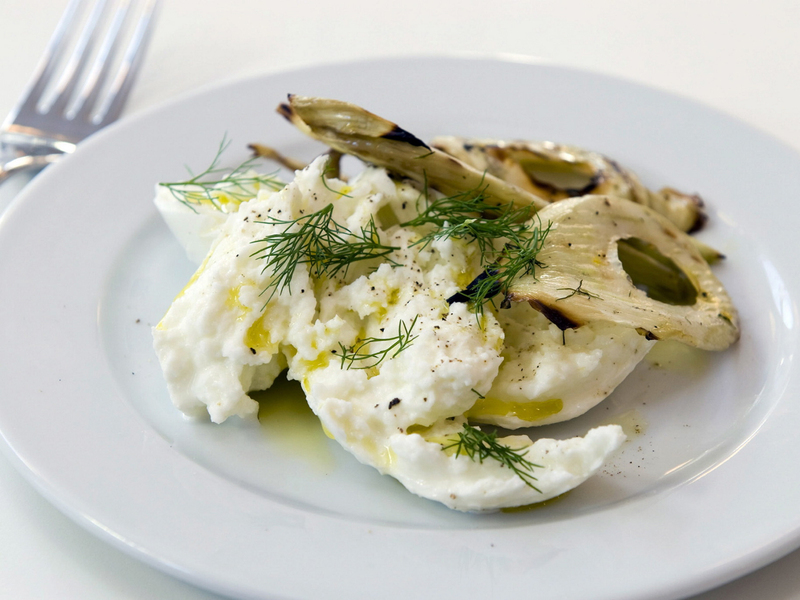 Years on, food bores will probably be waxing lyrical about how this modest Bermondsey restaurant started a movement for clean, simple modern Italian food at bargain prices – River Café-lite. It wouldn’t be implausible. After all, Zucca is a brilliant operation, its food refreshingly pared back yet achingly good, the prices decent and the design neat and unfussy. It’s a genuine return to letting ingredients speak for themselves, in a time where elaborate dishes seem to have reached their zenith.